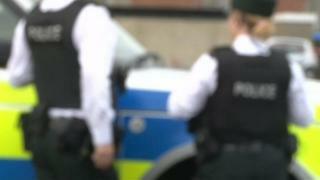 A man has been left in a critical but stable condition in hospital after sustaining head injuries in Londonderry. The 43-year-old was taken to hospital after he was found in the Grafton Street area at 00:45 GMT on Tuesday. PSNI Det Insp Michael Winters said: "We are working to establish the circumstances surrounding the man's injuries." He has appealed for anyone with information to come forward.